Your inner circle will dictate the level of positive influence you attain. Tim Ferriss reiterates that you become the average of the five people you spend the most time with. Subconsciously, our lifestyle and mentality is a reflection of the those we surround ourselves with. This is based off of the ‘Law of Averages’. If you have a strong head on your shoulders, which limits the ability for individuals to change your thinking, mannerisms, mindset, and character, then you will be less impacted by your circle. However, more often than not, human beings are easily swayed. Such effects build up over extended periods of time; usually going unnoticed. Sometimes, it is beneficial to take a step back and look at your circle from a bird’s eye view. This is critical in personal development as we cannot expect heaven if we play with the devil. Similarly, do not expect success if you do not surround yourself with success-minded peers. Success does not have to be monetary but rather the sustaining effort to keep positive energy and good vibes between each other. It is critical that your friends contribute to your inner growth, strength, and mental wellbeing to build the foundation for achievement. This does not advise leaving individuals who are not obtaining their goals because they keep failing, but to stick with peers that learn from their failures and get back up. Such positive company will aim to motivate and help one another. Remember that there is an unlimited abundance of success available to everyone. There is room for all at the top but you need to be willing to take the stairs, not the lift. 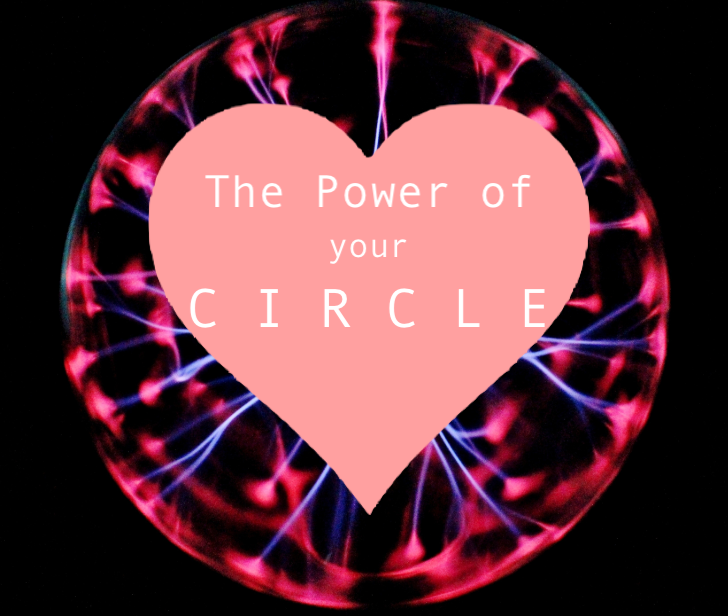 Ensure that your circle does not act as an obstacle towards your achievements. They do not need to help you at every hurdle but support your ambitions without being afraid or intimidated by your growth. Likewise, if you are in the wrong, they will raise awareness about it. Real friends won’t watch their loved ones fall unnecessarily. Hence, this is why no company is better than bad company. Happiness is a choice, so choose wisely. What happens if deeper skin tones fake tan? 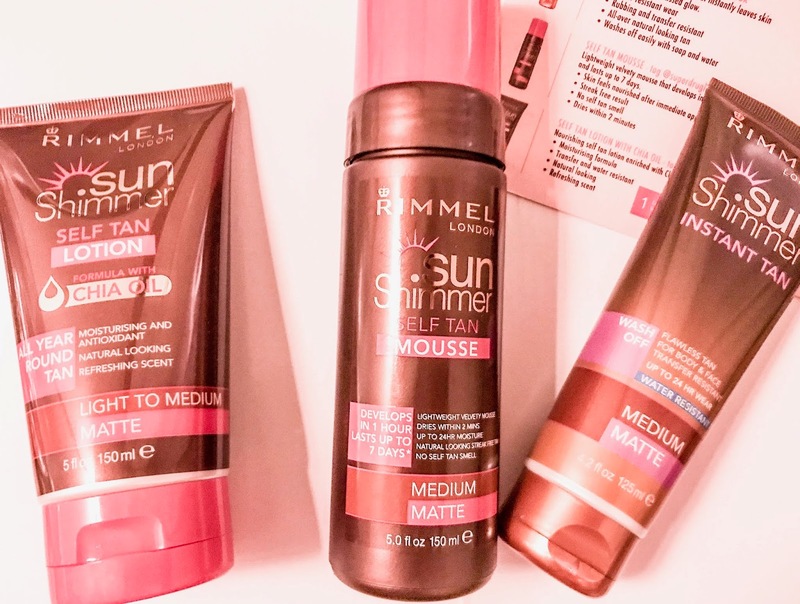 I've recently been sent the Rimmel London Sun Shimmers tanning set and was confused and hesitant to try out the products. As someone who is NW45 with MAC Cosmetics, I've never given self tanning a thought. However, when doing some research online I found that it wasn't uncommon for deeper skin tones to turn to fake tanning products to help with evening their skin tone and adding radiance. Although I am a firm advocate in loving the skin you're in, and still in the process of completely accepting myself, I wanted to see what would happen if I self-tanned for myself. This is advertised as an item that will provide skin with a 'matte sun kissed glow' which is water resistant and provides an instant, all over, natural looking tan. It claims to wash off easily with soap and water. I tested this product out on my chest and stomach as they tend to be slightly lighter than my neck and arms. It did indeed work to give me that instant radiance, glow, and even skin-tone. However, it does wash out easily so isn't useful for the long run but perfect before an event. This is the product I tested out extensively which you can read about below. This self tan is said to develop in 1 hour and last for 7 days in comparison to the instant tan and the lotion I will explain next. 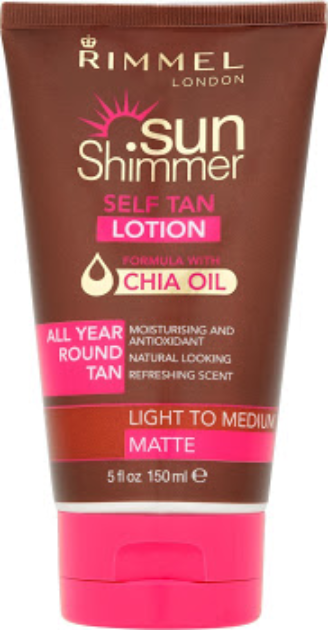 Therefore, this is perfect for a temporary tan which can be topped up once a week. The product comes out as a liquidy mousse which was easy to blend into the skin without streaking. The best part is that it dries in minutes so you save the risk of transferring it onto your clothes or other upholstery. This product is the slowest developer of the three. It acts as an 'all year round' fake tan moisturiser. It is infused with chia oil for extra moisture retaining properties. The scent is very pleasant but does fade quite quickly. I am happy to try this product out for a while and update this post later on to see whether or not I achieve a natural glow and radiance. This should take around 21 days. However, for time-sake I only tested the top two products. Color: My skin didn't change color. It appears that the tanning products all aim to achieve the skin tone I already have. This was kind of disappointing but I wasn't sure what to expect. Nevertheless, the product did emphasise on my pre-existing warm undertones. It also evened out any discoloration so my legs were one colour. Lastly, it worked to blur out my stretch marks on my upper thighs and hips but they are still visible. Glow: Without a doubt, the skin on my legs did look moisturised. Unfortunately, I tend to neglect my legs a lot when it comes to skincare so at least this product fakes the nourishment. There was a clear sheen and highlighted appeal to my legs like they were truly sun kissed, almost like a filter. 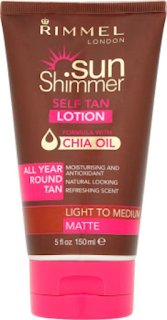 Be sure to check out Rimmel London's products at Boots and Superdrug! Frizzy hair seems impossible to manage and fix. More often than not, it feels like a curse than a blessing. Nevertheless, I have concocted the perfect four step process to help tame frizzy and uncontrollable hair. Best of all, it won't cost you hundreds of pounds! Hot oil treatments. Oil treatments help prevent dryness by locking in moisture. You do not need to fetch the creme-de-la-creme of oils such as Moroccan Oil because normal almond, coconut, and even olive oil can do the trick. I've been using Parachute Coconut Oil since I came out the womb and it's only £2.59 for 200mL! Bare in mind you only have to use this once a week so a little will go a long way. Just drench your hair in oil, focussing on the root and tips, and leave it in for at least one hour (best results when you live in longer such as overnight). Afterwards, just wash it out like normal and embrace your softer and silkier looking hair. Conditioning. This is vital. I notice a significant difference in my hair texture when I use just shampoo verses pairing that with conditioner. After using conditioner, my hair is softer and easier to style and work with. Conditioners work as surfactants; actively tackling frizz. A conditioner I use is the L'oreal Elvive Extraordinary Oil Conditioner which only costs £2.99 for 250mL at Superdrug! Avoid tangles. I didn't realise how important this was until I started doing it. Brushing your hair regularly and avoiding throwing it up into a bun when wet or unruly will prevent breakage. 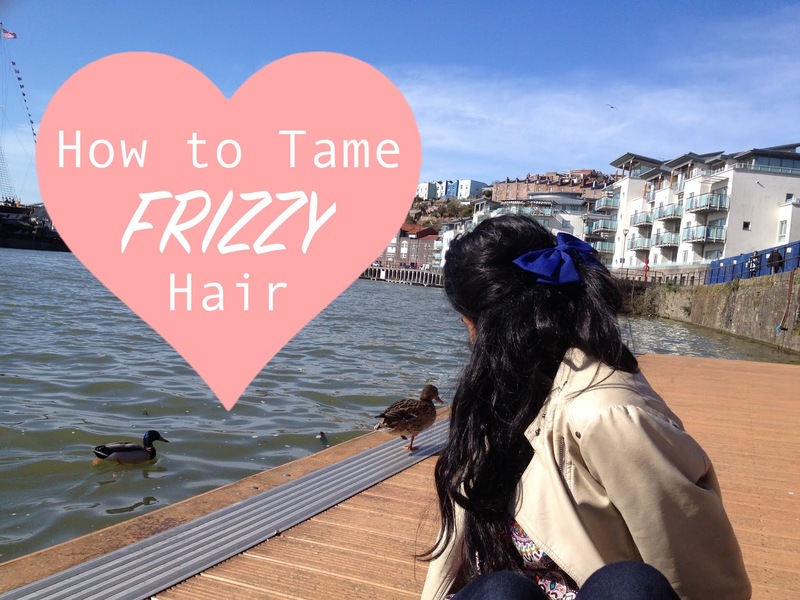 Frizzy hair will only get frizzier in this state. Therefore, I suggest many tangle-free hairstyles that you can go to sleep in to wake up with controlled and manageable hair. Such hairstyles include dutch braids or twists. Minimise heat. This one is tough. When we have have hair that's difficult to mould or play with in it's natural state, it's easy to sway towards styling tools. However, I've essentially eliminated heat from my hair-care routine and have noticed considerable changes. It's tough to adjust to in the beginning, like all challenges, but you do end up noticing a huge difference. Read more about the benefits of avoiding heat here. Nevertheless, you do not need to completely get rid of your straighteners and curlers. Instead, use heat protectant whenever possible (I recommend the Elnett L'oreal Heat Protectant), and try to avoid using heat everyday. This can be done by minimising washes and using dry shampoo which may feel icky initially but could help your hair health significantly. Total cost for beautiful and luscious hair: £5.58! After one week of following these tips, I guarantee that improvement will be second to none. Anyone can wear their hair like crown! This letter is the credit you deserve. I love you. I couldn't say thank you enough to display the amount of gratitude I have. Despite each sacrifice and silent battle, you put my wellbeing and dreams before your own. When the world was against us, you still stood beside me; holding my hand without clipping my wings. It is from you that I learnt the value of compassion, empathy, and courage. From a young age, I was constantly reminded by you to 'kill them with kindness': a life mantra I actively and consciously stress today. When people ask me where my 'bubbly' personality, intelligence, and child-like faith stems from, it is, without a doubt, the seeds you planted within me. I wouldn't have grown or blossomed into a girl with a deep desire to give, capacity to do good at great lengths, and achieve all that I have without your morals and values. You never undermined my abilities and worth when everyone else did. I don't know where I'd be without you. Behind each success, is my loving mother. Of course, I am far from perfect and have derailed but you consistently remind me of my purpose and send me back on track. You never used my weakness as a weapon. To only you and God can I attribute my successes and blessings. I reflect your positivity and morale in my daily endeavours. You are my driving force. Your prayers, guidance, and blissful company provides me with internal peace and resilience. Whenever my mood has fallen, you do not fail to listen regardless of the size of the problem. You are the most amazing woman I know you to the fullest: the woman that everyone knows and loves. You are the embodiment of a pure-natured person with emotional intelligence others do not have a patch on. In defiance of being a punching bag, taken for granted, and shamelessly hurt by others, you never seek revenge or speak ill of people. You love the evil out of them instead. That is the definition of resilience and selflessness. When no one was there for you, you remain a rock for them. This makes you the strongest person I know in my eyes. The strength you behold is awe-inspiring. The least you deserve is to be surrounded by those that lift your spirits and soul instead of dimming your light. In essence, not a moment spent with you is without laughter and joy. Every good quality about me is because of how you raised me. I promise to that every step I take will be for you to receive limitless happiness and peace. Thank you for bringing me into this world, the least I can do is show you the universe. I pray to become half the women that you are. Budget Friendly Fashion tips for Petites! Given that I'm 5'1 (and 1/3), I can understand the struggle in finding flattering garments. Due to my height, shopping for clothes can feel very limiting. Nevertheless, here are some tips that will make the experience of shopping and fashion much more enjoyable and tailored to a petite frame! The 'Tall' Section. Believe it or not, the tall section can be favourable for us petites. I found that 'tall' sweaters and jumpers, for example, act as beautiful jumper dresses with a flattering fit. More often than not, 'tall' garments do not compromise on silhouette, therefore, you won't look like you're drowning in the outfit. Similarly, crop tops can be perfect 'normal' tops that can be paired with high-waisted jeans or leggings. You can definitely widen your shopping horizons. Belts and Ribbons. The 'tall section may not always work in your favour. You could find yourself lost in what seems like oversized tees and dresses that are XS. Unfortunately, I've owned plenty of pieces that resembled a potato sack. This can easily be fixed with a belt or ribbon to help synch in the waist for a fitted appeal. If you feel that a belt could ruin the appearance of your dress, as it is generally a more 'edgy' addition to an outfit, you can swap it for a dress ribbon. This can simply be laser-cut fabric (cheap as chips) from a store that matches or compliments the patterns or colour in your dress. A beautiful bow at the front could add a youthful vibe or tied at the back for something more sophisticated. A personal favourite of mine are lace belts which tend to blend into the dress or top by subtly adding detail that is both elegant and classy. The Kid's Section. This is especially applicable for sportswear brands like Adidas or Nike. I understand that gearing towards the kid's section can be disheartening; especially with outrageous patterns and slogans. It's hard to find elegant wear. However, I found that sportswear for 12-16 year olds flatter my frame for a fraction of the price! A majority of my sportswear and work-out clothes come from the junior's section at Adidas. It's the same exact patterns and prints that can be found in their adult range so you do not have to compromise on style. To add, denim bottoms and leggings are always great finds in the kids section. This rings true for brands I've personally tried such as Primark, ASOS, and Dorothy Perkins. Finally, footwear in the kids' section (particularly Gazelles which are my guilty pleasure) is a major steal. Petite friendly Brands. Although 'petite clothing' appears to be a rarity, there are many high street brands jumping on the bandwagon. 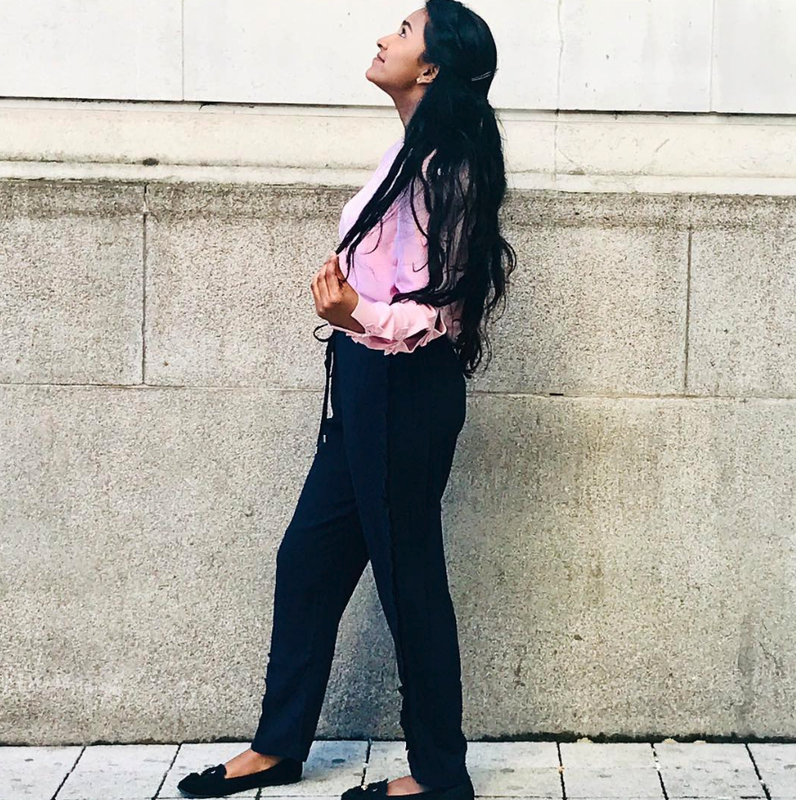 The stores which consistently update their petite section, with styles for many and any, are: Dorothy Perkins, ASOS, TopShop, Primark, and H&M. You do not need to break the bank to achieve a look tailored to your frame. 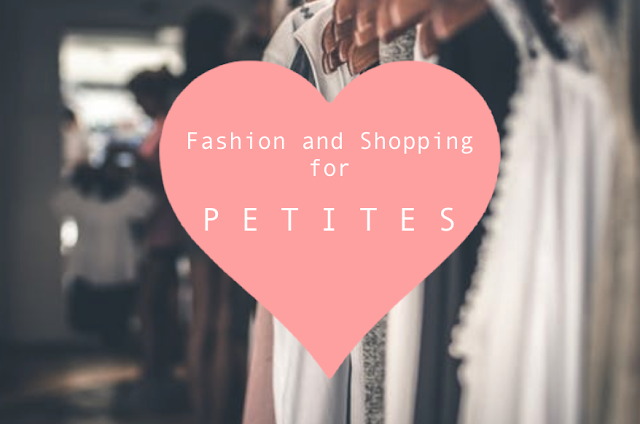 It's not uncommon for petites to be willing to spend more at higher end stores but this is not always necessary. Furthermore, in my experience, brick-and-mortars tend not to stock as much petite clothing in comparison to their online shop. If you found that a store isn't carrying particular pieces from their petite range, I recommend checking and shopping online instead. Layering. This may seem counter-intuitive. Personally, I am not completely supportive of layering as it can sometimes tone down or hide the outfit and staple garments. Nevertheless, tucking in oversized or tops that are too big into jeans with a light-weight biker or bomber jacket could prove promising. In addition, fastening the middle button on a trench-coat style cardigan can give the impression of a synched in waist. This will not overpower the outfit. Try before buy. This is a must. You may be surprised to come home to a gaping arm hole, a waist line that starts at your chest, or plunging neck lines that didn't appear to be present in store. Always try on pieces beforehand and do a 360 in the changing rooms. Shrink clothing. Certain fabrics shrink more than others and to different degrees. For example, cotton, linen, and wool tend to shrink in the wash under certain conditions compared to polyester which is more stable. This is said to be due to the fact that synthetic fibres do not shrink as much as naturally occurring fibres. Hence, if there is something you desperately desire but cannot find in your size or wish to go through the hassle of tailoring, then it's worth a shot at trying to shrink it! There are various articles present online with a step-by-step guide about shrinking. I've never tried it before, so there is my disclaimer, but this option is always available. If in doubt, there are plenty of resources readily accessible online in how to shrink clothing properly. I hope this helped at least one of you and these are tips (bar the shrinking one) that I do follow and bare in mind when shopping. It has enabled me to have the same fashion options as someone above 5'4''! Thank you for reading. If it's not evident already, I have been struggling to keep up with the my three posts a week routine. My dissertation is proving harder than I had hoped. It's requiring a lot more coding and data analysis than I had initially thought but I am learning some vital skills which could benefit my career. Resilience. My project has solidified the importance of resilience to power through obstacles. It's scary and intimidating to go into a meeting and admit that you have no idea what's going on. It can be demoralising and, quite frankly, embarrassing. However, resilience will bring results. Working hard is the answer. It's difficult to motivate yourself to keep trying yet achieve nothing in the day. That is not a fault in myself, as I am putting in the hours, yet it's difficult to be convinced of otherwise when you aren't seeing results. Keep persevering. Humility. Humility is vital if you wish to succeed at any lengths of life. Have the courage to ask for help, guidance, or simply discuss matters at your hand. It's okay to not know everything. It took a lot of self-talk to realise that this is a learning experience and I am not expected to be an expert in a field that I've never explored. Always ask questions at every meeting, no matter how silly they seem. It's very easy to misinterpret information or advice given. More often than not, it will be a vital portion of your project. Your supervisors WANT you to do well as your work is a reflection of them and the university as a whole. Therefore, they are more than willing to offer guidance and support but you need to be assertive in your learning. Take notes. If you're like me, you won't remember everything in a meeting. The minute details is what will separate your mark from a pass to a merit, and merit to a distinction. Don't compare. Every project has equal significance. And every project bares equal difficulty. It was hard for me initially to not compare myself to those who have already written their first draft of the introduction (2000-3000 words) or those that are travelling for their project. But my project was my first choice. This is the one I wanted to do because this is my passion. This is my baby. I realise that my beginning is going to have rougher patches than closer to the finish line but this is my journey to embrace. All in all, the take home message is: keep persevering and fail forwards. We are huge self-critics. In a society where confidence is seen as cocky, becoming demotivated is too easy. Life can quickly become monotonous with fixed routines and daily efforts which causes goals to appear pipe-line. We begin to curse ourselves for short-comings; leading to self-loathing and resentment. However, everyone’s path is different and our minds are our greatest obstacle. Just because you’ve taken a different route does not mean you cannot achieve. There is no right or wrong way to go about hustling and grinding for your future but society forces you to think otherwise. Always remember, you cannot predict the future but you can create it. It is equally as important to analyse how far you’ve come as well as the journey left to travel. You are not the same person you were last year, last month, or even last week. Time does not stop for anyone. Because who were you 2 years ago? Did you even believe you would be where you are now? Write a couple of all-time lows you experienced in the last two years. These moments could be ones that seemed chronic, never-ending, and impossible to overcome. Life constantly sends us hurdles that we must jump over. It felt as though the solution was no where near the light and all the strength was sucked out of you. But you survived. You conquered. You became stronger. You did it. Write a couple of your achievements of the last two years. This could be anything from losing weight, graduating with a degree, getting a job, or lending a helping hand. If you see your accomplishments on paper in front of you, it will act as fuel for the future to keep pushing. All achievements result in character building. For example, a certificate is more than just a piece of paper with your marks, it’s a reflection of knowledge gained, work ethic, memories, and experiences attained. Therefore, if you are every feeling down remember this: you’ve survived 100% of your worst days. I know this is late compared to normal but I am trying to stay committed to posting as much as I can without affecting my academics. Nevertheless, I have been diving into some new products to share that are quickly becoming a staple! Mascara and lipstick are my go-to products for a quick put-together look. 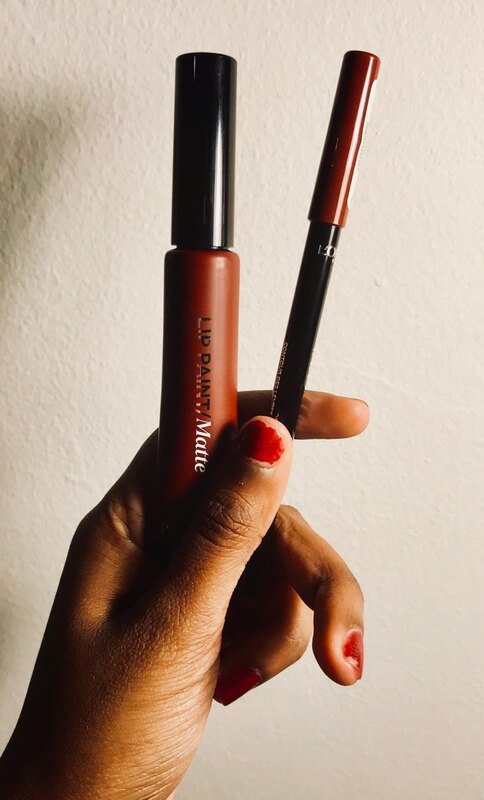 This is one of my favorite duos that I've tried in a pure brown tone which I normally do not venture towards. Those who know me will know that my preference always leaned on purple lipsticks so even red was only reserved for dance performances. I did an in-dept review of this duo here and highly recommend checking it out if you wish to widen your horizons in color. This scent is light and refreshing. It sports a tropical vibe which corresponds with it's name. The main accords are: marine (sea air), citrus (mandarines), floral (from damascus rose), aromatic, and aquatic. The length and degree of which this perfume lingers (sillage) is softer with a stronger longevity that is comparable to higher end perfumes. **I couldn't find the perfume version on 'The Body Shop' website but they are selling the Fragrance mist which would generally be lighter and not as lasting in comparison but the scent would be the same. In the past, I always went for The Body Shop fragrance mists, especially Indian Night Jasmine as they did linger throughout the day in my experience. 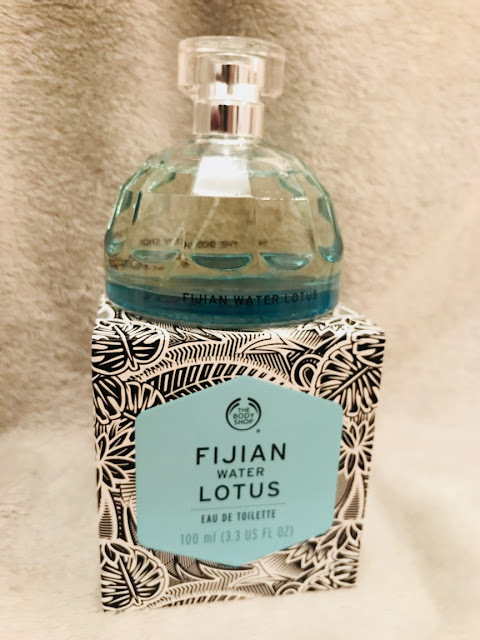 Here is a link here for the Fijian Water Lotus Fragrance Mist for £8.50 and 100ml. Although I still have a committed relationship with my Nivea Soft Cream, this facial mist has been one that reinforces a dewy makeup look. Therefore, prior to applying my makeup, I will spray a bit of this beautiful and lightly scented product on a bare face. The scent is not overpowering and is easily masked by foundation or powders so it is very subtle. It may not make a significant before and after difference but it is moisturising, refreshing, and does help reduce extensive caking on the face overtime. It improves the canvas and base for application of, but not limited to, foundation, bb creams, and powders. Charcoal has always been a fundamental ingredient in clarifying face products. It acts to reduce the appearance of pores by pulling out bacteria, oil, dirt, etc. from the day to fight acne. Hence, arguably it is a form of a disinfectant which can aid in achieving that flawless complexion. On the other hand, the 3 different clays act to absorb excess sebum which tends to further clog pores and cause acne. 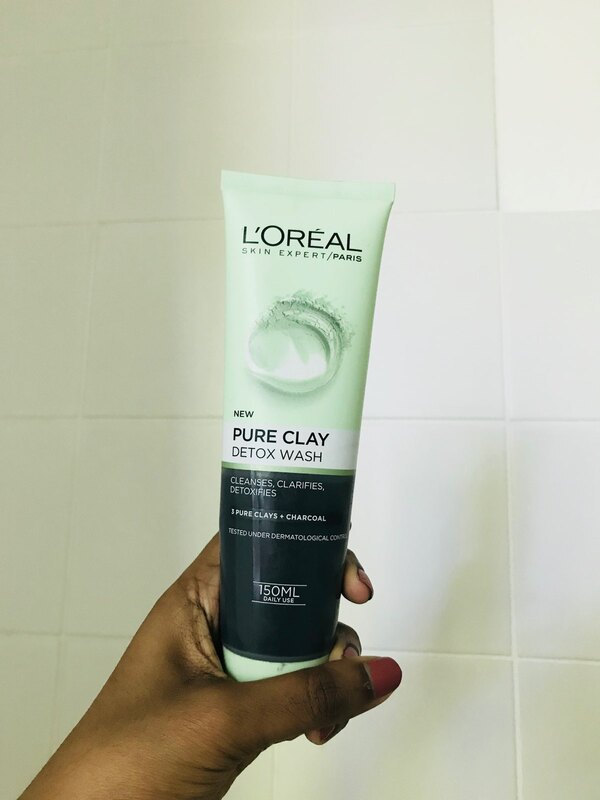 This is a face wash that I gravitated towards because, not only was it on sale, but it comes with a decent amount of face wash (150 mL). 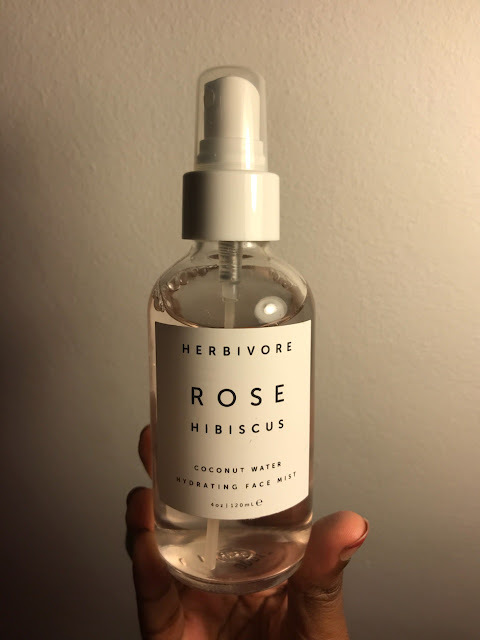 This is an old product that hasn't received enough well-deserved hype so hopefully I can shed light on this if you're looking to switch up your skincare! Marc Jacobs have been slaying the makeup game with such high-quality and luxurious products. 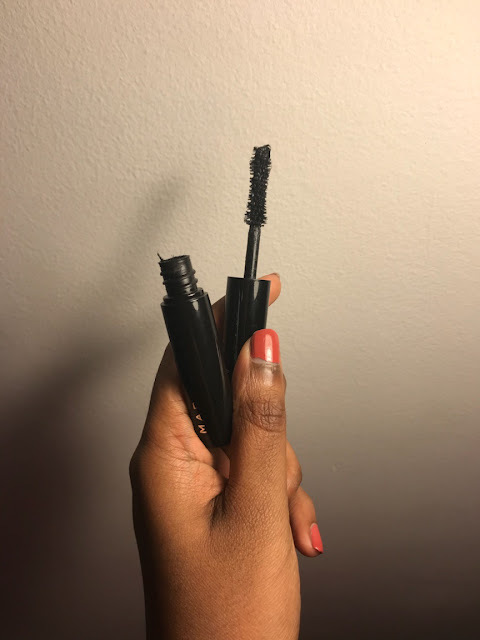 One of them, is their Velvet Noir Mascara. . Marc Jacobs has come out with an outstanding and gel-based mascara which finished off the whole entire look by adding 1800% more volume. The brush enables the roots of the lashes to be coated evenly with the mascara. Not only is it volumising, but it adds curvature, length and isn't weighed down as the day goes. The lashes do not look spidery rather it is fluffy and remains appearing soft. The word ‘failure’ has limitless negative connotations but shouldn’t be a reflection of inability. Society has conditioned us to look at short-comings as inadequacy and incompetency. However, every obstacle encompasses lessons learnt, skills obtained, and new-found knowledge. Within hardships are accomplishments. Each set-back will propel you further towards your goal. Many may advertise failure as necessary or essential for potential favourable results but I do believe drawbacks are an invaluable form of victory. Failure is success. The problem with society is that failure goes unrewarded and success is the tip of the iceberg - we cannot see the behind-the-scenes of what occurred prior to the achievements. We only see the outcome. Nevertheless, alongside hard-work, determination, and hustle, the only thing stopping an individual from recognising success is their mentality. Be honest with yourself. There is a reason why things disappoint. Don’t immediately blame poor outcomes on chance or avoid the mistakes altogether. Take ownership. If it’s a low grade on a test, scrutinise your efforts in revising the material. If your team is lacking coordination, look at your managerial and leadership method. Evaluate your approach and implementation as something in the procedure potentially requires change. Nothing trickles down to bad luck. Consistency. Taking breaks have a lot of value but do not let a speed bump grind you to a halt. That’s not their purpose. Their purpose is to slow you down to re-evaluate and assess the situation at hand for a better end product. Success is a lifestyle, not an end-goal. Remembrance of this phrase will increase your chances in attaining a positive outlook: every impediment is reassurance that you are on the right path. Fail forwards. Each barrier that is overcome is one step closer to the right answer and a positive result. The most phenomenal innovations came from many scraped blueprints. As aforementioned, society only sees the conclusion, not the story. Keep hustling and maintain confidence. Don’t let one poor result deteriorate your faith or abilities. Seek advice. Asking for assistance will help, not hinder. Not everyone has the same line of thought. An alternative way of reasoning through an obstacle can enable you to find a better solution quicker. Get comfortable with being uncomfortable. Never settle. You’re going to be exhausted; sacrificing blood, sweat, and tears for what may seem like mediocre outcomes. Real success is getting back up after being beaten to a pulp. Realigning your priorities may feel worthless but this journey is invaluable. If you aren’t pushing the envelope and stepping out of your comfort zone then you’ll constantly be revisiting the same issue. Life will teach you the same lessons until you learn. In essence, obtaining success requires a 360 shift in outlook and mentality. I hope you enjoyed this article and it pushes you to keep working towards your goals. We do not give ourselves enough time to evaluate our train of thought or decisions. Despite reaching great heights, some find themselves dissatisfied or left feeling empty at the end of a productive day. Thus, we are prone to discontent, sadness, and loneliness. For some, success does not always equate happiness in accordance to their definition. But success shouldn't be measured by the size of a pay check or materialistic goods. Therefore, whether you live a fast-paced or comfortable lifestyle, here are five simple ways to change your life for the better. Live in the moment. The hustle and bustle of daily life tends to get in the way of the present. Many individuals live in the past or the future - neither of which exist. Thus, the real question to ask yourself is, are you even living? Close the chapter of the past, remember the blessings, and the lessons learnt. You can invent the future and sculpt it to your favour. You are the craftsman. However, the only way that can occur is if you dedicate time and effort right now to shape it to your liking. Nothing will help you if you don’t help yourself. Spend time with loved ones. This invested time is going to make you happier in the long run. Those who you hold dear to your heart will make the happiest memories. People are irreplaceable. We are all created so differently that it would be deeply regretful if we got too caught up in worldly problems or desires. Your C.V or pay-check will not be embossed on your tombstone. You won't be buried with your belongings or in your mansion. The only thing that will last is the impact that you have on others around you and vice versa. Empathy. Everyone is battling their own fights behind closed doors. Before debating or arguing, try to truly understand their point of view in whatever setting. It can aid in deflating any reactive emotions you might have. This ties in with self-awareness. The world needs more empathy because that will indirectly lead to unity to facilitate development at both an individual and global scale. Empathy is a powerful practice. Kill them with kindness. This rolls with the previous point but it is very difficult to implement. At the end of the day, you have control over your actions and reactions. Revenge will destroy you, not them. Do not let temporary feelings cloud your morals, judgements, or influence your actions as it is fleeting. Love the evil out of everyone. Do not act in the moment as you could create lasting scars on that individual through your actions or words. Always aim to be a blessing in someone’s life. Courage lies in understanding why someone hurt you, rather than attempting to do the same. People may forget what you said or did, but never how you made them feel. Ensure that people leave you feeling better about themselves or have undergone growth. Say yes. Make happy memories for yourself. Escape your comfort zone to grow, develop, and breathe amazing fresh air. You won’t reminisce over an amazing night’s sleep from the other day but rather an event or milestone crossed. After all, 'curiosity killed the cat, but satisfaction brought it back'. Why do we procrastinate? Perhaps your to-do list for the day is a bucket list or the task at hand is extremely dull. Many procrastinate for various reasons. It stems from an issue of self-control and regulation. We are unable to facilitate ourselves to be productive. This has been coined ‘maladaptive’ and results in stagnant and sedimentary lifestyles in the case of chronic procrastinators. They only work in high-stress situations: the prime reason for all-nighters, stress, and short-comings. Although being a procrastinator could, arguably, be embedded into one’s being, it is not permanent. Many qualities of an individual are adapted through environmental exposures and experiences. Therefore, it can be reversed with effort. Fancy stationary and planners cannot fix this. It’s all about mentality. Get that app. In the digital age, it is too easy to divert your attention from work. Nowadays, there are apps that prevent you from getting into your phone and receiving phone calls for a fixed amount of time. For example, ‘Freedom’ blocks internet function for up to 8 hours. Scary, but incredible. Don’t lie to yourself. Because you probably won’t get up early and conquer that task. You won’t ‘do it after eating’. This is an important fact to face: be honest with your abilities and know your self. Increasing self-awareness will only drive you closer to achievements and in this case, beating procrastination. No, you do not perform better under time pressure. One usually forces themselves into that situation; leaving them no other choice. The only real chance in finishing that task is if you begin right now. A job begun is a job half done. If you haven’t read the ‘flow state’ article be sure to do so here to figure out how to increase your efficiency. Try to build up momentum by beginning easy and breaking the task down into smaller and obtainable goals that can be checked off. It will be more fulfilling to see the steady progress rather than the whole entire task accomplished in a frenzy. Find the purpose. Everything on one’s to-do list has a reason. Most of us do not endure tasks that will not benefit us later on. It could be as simple as going to the GP for a vaccine, or studying for a test. There is a lasting impact to most tasks and finding the reasoning and forming a personal connection towards the work could be enough to reach completion.